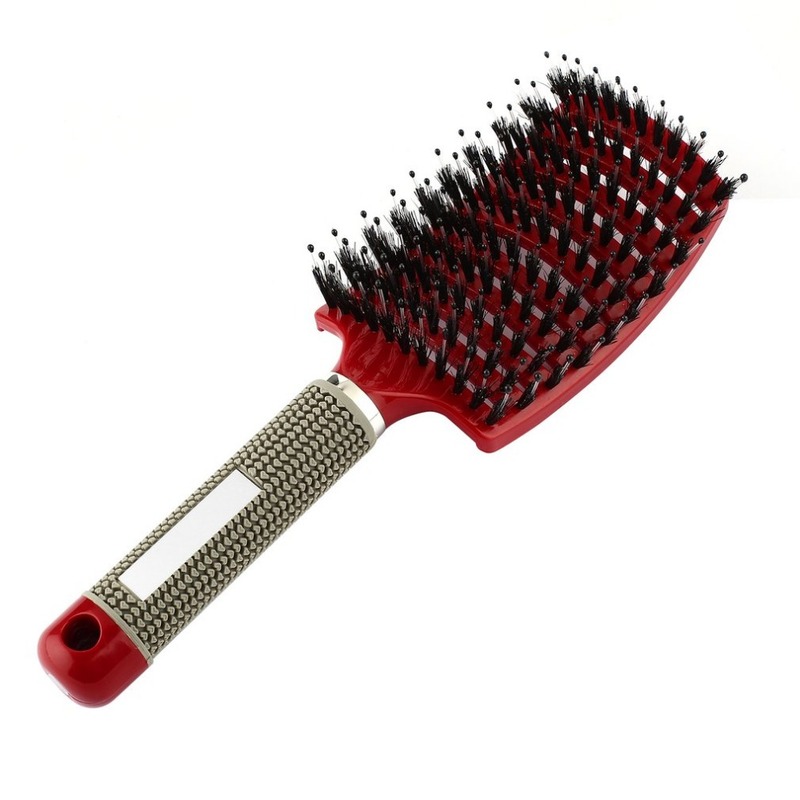 Women Hair Scalp Massage Comb Bristle &amp; Nylon Hairbrush Wet Curly Detangle Hair Brush for Salon Hairdressing Styling Tools. Its handle is made of rubber, softer and more comfortable. Non-slip design makes it convenient to hold. Arched design make an elegant appearance. Exquisite workmanship ensure long lasting use.